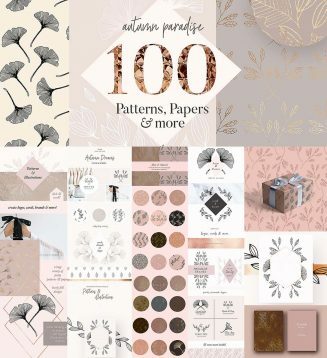 This set comes with 70 premade designs as shiny digital papers, all ready-to-use and super easy to handle without any special software required. Set includes all separate elements, wreaths and illustrations. Simply put your quote or designs on top, arrange the elements on the digital papers and you‘ll receive professional, high-end wedding invites, stationery or cards in minutes. File format: .ai, .jpg, .png for Photoshop or other software. 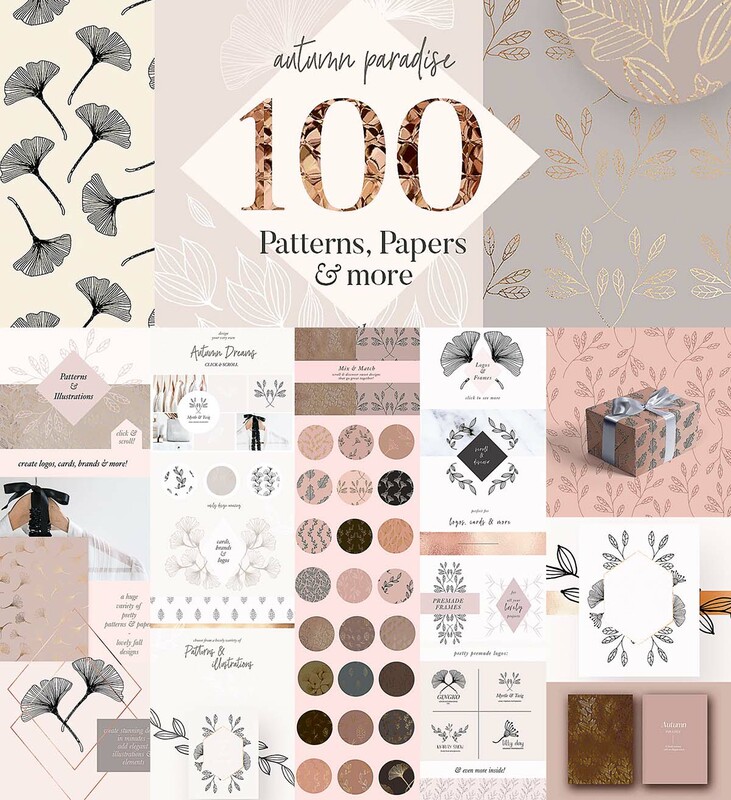 Tags: autumn, botanic, digital paper, fall, gold, ornate, rose gold, texture, winter.